Designed for maximum out of band rejection. 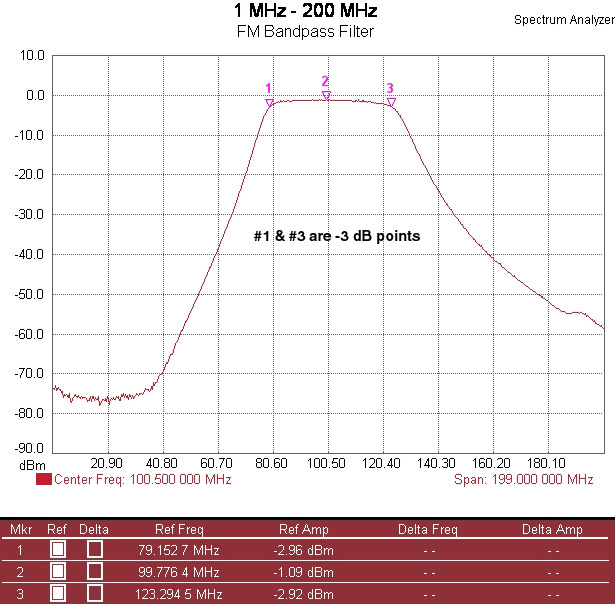 88 to 108 MHz passband has less than 1.5 dB insertion loss. Greatly reduces interference, desensitization, and intermodulation products from out-of-band sources. Actual measured performance of a typical unit is below - use this data for evaluation. 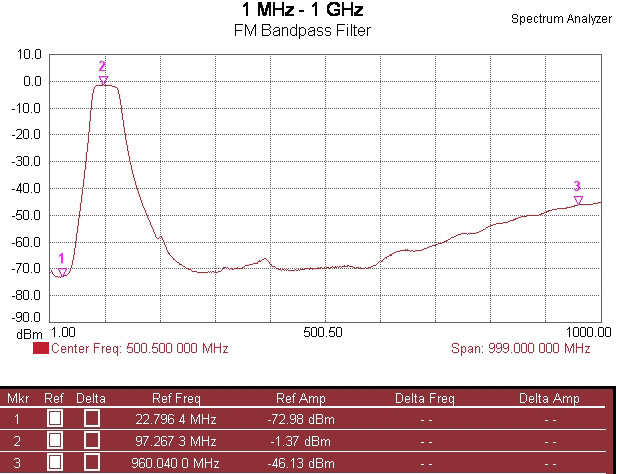 The FM Bandpass filter passes the entire USA FM broadcast band frequencies, and rejects signals significantly removed. 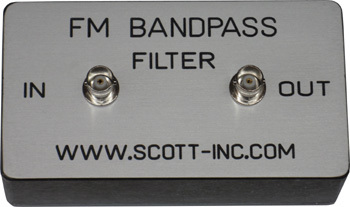 This device is the ideal companion to the spectrum analyzer for FM broadcast work - preventing out-of-band energy from corrupting the linearity of the wideband SpecAn mixer. Without it, work in the presence of television, cellular, or land-mobile transmitters can create intermodulation products leading to uncertain measurements. Useful for FM signal bandwidth neasurements using an antenna. Can also be used to prevent out-of-band interference to weak signal FM reception.